Hope that your Saturday is going well so far. Time for a new sketch at RetroSketches! I am very excited to finally be able to tell you that I am joining the team. 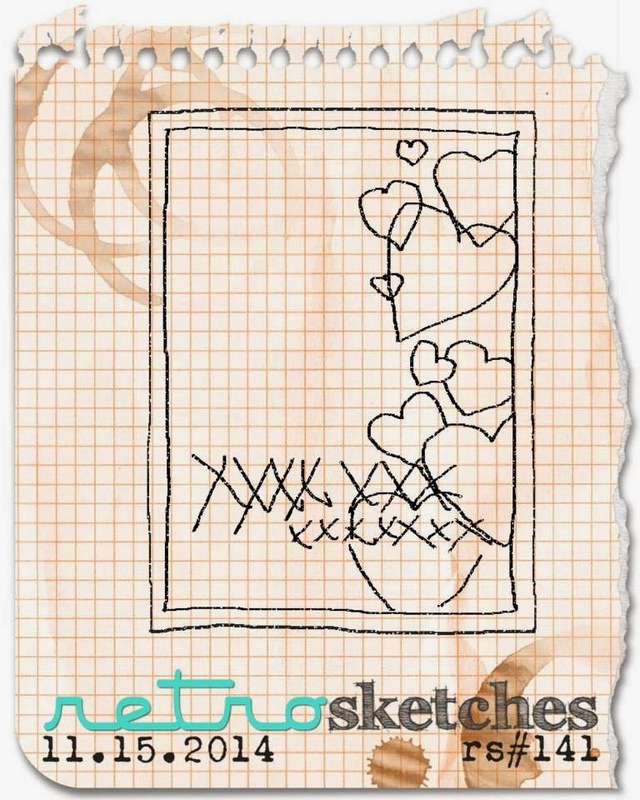 This week Arielle made a sketch from one of my cards found HERE, actually it probably still is one of my favourite cards. For my remake card I used a new to me embossing tip (thank you Michele Ferguson). I inked all the images first in VersaMark, then in pigment ink and then I clear embossed the entire panel at once. I used Delicata Golden Glitz, Delicata Silver Shimmer and VersaFine Onyx Black pigment inks. It looks amazing IRL but it is a bit camera shy, you can see it a bit better in my detail shot below. I drew the strings in after with a fine tip marker and added a couple sequins. I am looking forward to seeing what you do with the sketch this week! Alright, you got me drooling. This is AMAZEBALLS. I adore this sketch and your CAS take is just perfect-love that ink!! And a huge congrats on your new GD! This is absolutely AWESOME! I love the use of this stamp! 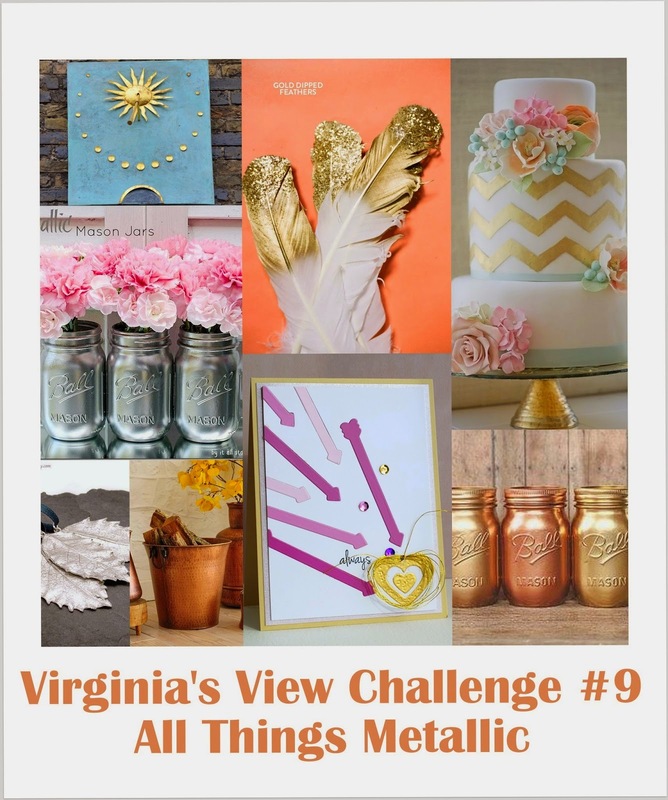 The clean and simple take on the challenge totally rocks, Tracey!So glad that you join the fun over Virginia’s View “All About Metallic” Challenge! Such an elegant card, Tracey! 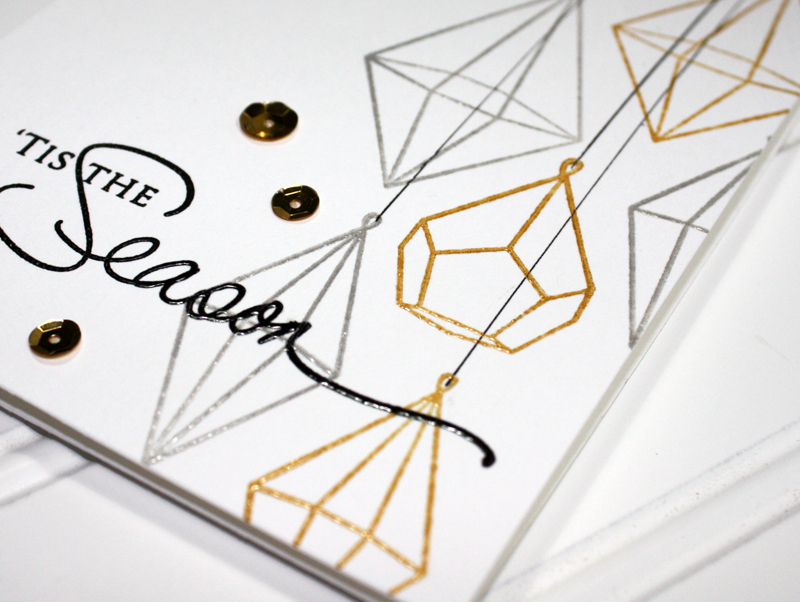 I love that you used gold and silver, and your embossing technique is amazing! Beautiful! Love the original inspiration for the sketch design and your new version, too! You GO girl!!! I'm so happy for you and KNOW you will rock this DT gig!!! Love your retake on the original, very elegant! Yay, Tracey!!! Your card is stunning! Beautiful. I love this sketch. Congrats on joining the team. Congratulations, love! This card is so fun! I just love how striking a clean embossed look is! Beautiful! This is a show stopper, Tracey. 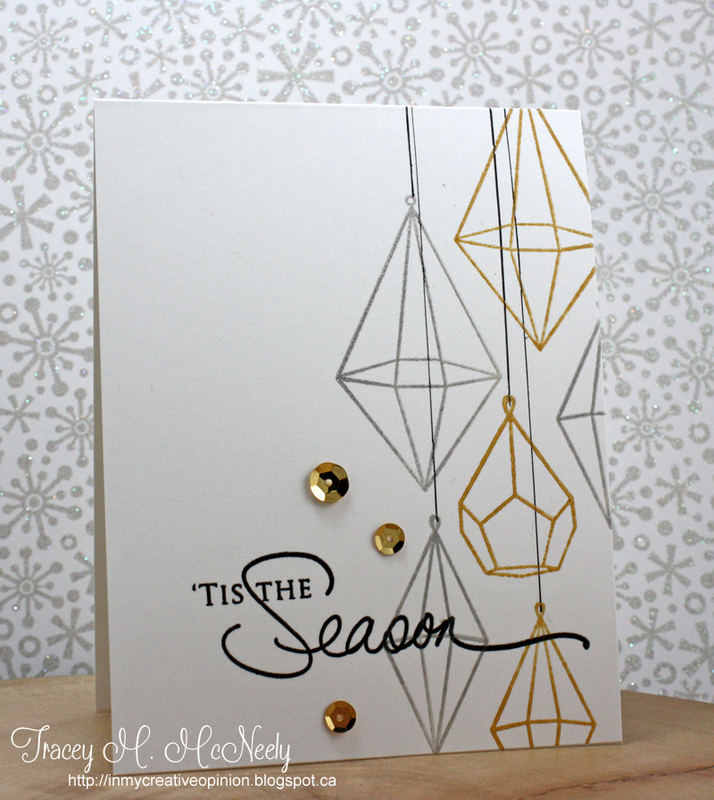 I love the ornament shapes and the way you embossed them! CONGRATULATIONS on joining the RetroSketches Team!!! Swoon! So happy to see you're liking my little trick! Gorgeous card, and congratulations!!! Oh, I adore this Tracey! Yay ! Congrats on the new design gig, ur card is a stunner, I am in awe !!! 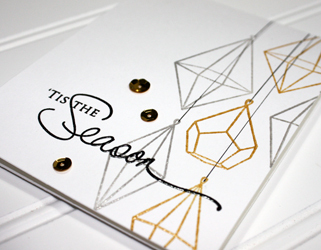 I love the retro design of this beautiful gold and silver card! So pretty Tracey. Love the gold and silver diamonds... that is a great sketch. This is so pretty!! LOVE those stamped ornaments!! Great card Tracey and thanks for the embossing tip! Congrats on joining the Retrosketches team. this is lovely and so perfect!